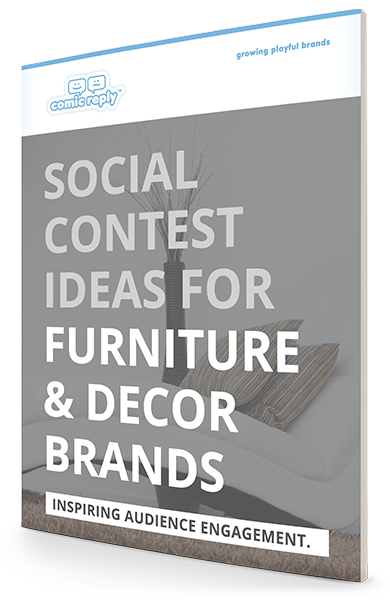 Furniture & Decor Brands eBook. If you are a Furniture Designer or Marketing a Furniture Store, Brand, a Lifestyle Store, Department Store, Warehouse Membership Club or Furniture Auctions, then this can help you grow your audience and sales. The ComicReply Platform makes it easy to run Social Media Contests on the Web, as Branded Mobile Apps, and Facebook Apps. 100% privacy, we don’t spam. ComicReply is an Audience Engagement Platform that helps Marketers leverage the power of Visual UGC Contests.